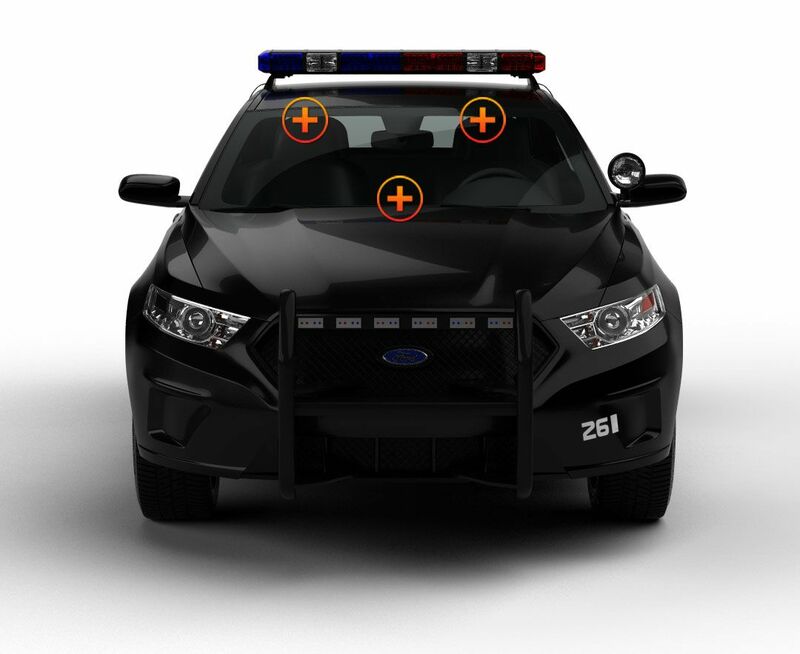 One of our best selling emergency vehicle lights, the Ranger Quad TIR LED Dash or Deck Light, has just been made even better by adding linear lenses. Not only are the polycarbonate lenses durable, scratch and shatter resistant, these high-end lenses spread the 72 Watts of the upgraded Ranger Quad Linear over a wide, wide area. 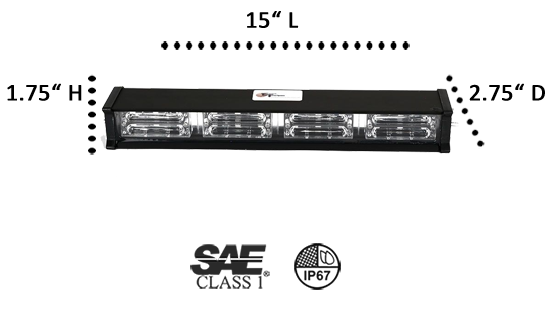 The four units contain 24 Generation III 1-Watt LEDs making it a formidable, dependable light that aids you in achieving your objective when every second counts. The power cord plugs into the cigarette lighter, has an ON/OFF switch, and can also be hardwired into an existing system. 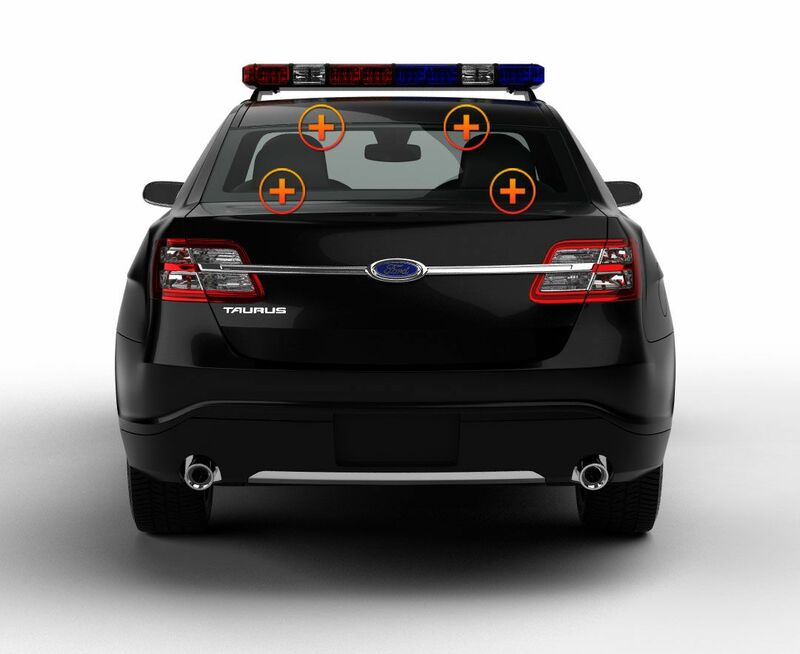 Two brackets with suction cups attach the light to the front or rear windows of the vehicle. Don’t be fooled by the size of this 15” light, the new and improved Ranger Quad with Linear 1 Optics is a tank of a light, heavy duty and waterproof. 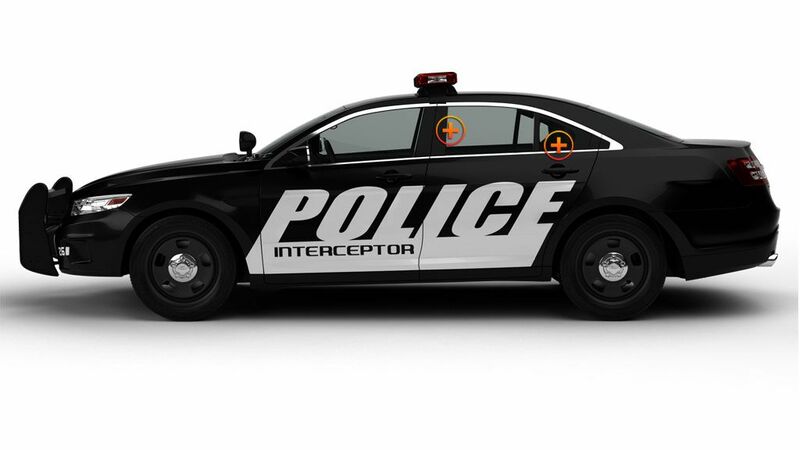 The U. S. Military has ordered a lot of these! You can choose from 26 flash patterns in 11 color options: 5 solid and 6 split-color combinations; what’s the best color to help you do your job? Remember, all our lights have pattern memory which allows you to return to a previous pattern with just a push of the button. It’s an awesome addition to your light force because the Ranger Quad Linear won’t give out when the going gets tough! Well I bought this light thinking it was a great light come to find out the very first time I use it I have a module go out, but then it came back on, for a little while then less than a month of having the unit that same module goes completely out. I called ETD and they gave me a few things to check but doing that breaks the water proof seal. In the end I have a new module coming in. Hope it works better than the other, may have been just a bad module. Light is really super bright great patterns, but may not last long. Great customer service lots of help. I purchased the led quad p1 optics and the led dual p1 optics and I am very impressed with both. VERY bright light. I have 2 for my rear window in my F150. I love the muliple patterns. Unit is very high quality and built to last. I purchased this light and Myself and buddies on the Fire Department are amazed. It not only moves traffic without a second glance, but the construction,quality,and low price are well worth it. I will never shop for any other light anywhere else. I have 4 of the LED Quads and decided to try the Linear Quad. Amazing light output. I will be changing all of my Quads out to the Linears. On a side note I had a bad light head in one of my Quads and I called the 888# and they sent me a new one right away. Great customer service. I will be a customer for a long time.